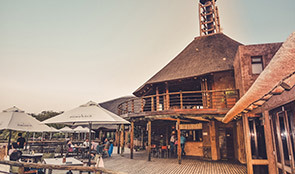 Buffelsdrift Game Lodge offers 9 Luxury Waterfront tents (situated on the water’s edge), 16 Luxury tents and 4 Luxury Family tents. Each tent has its own en-suite bathroom and private outdoor shower, air-conditioning, mini-bar, digital safe, tea/coffee facilities and a game viewing deck. 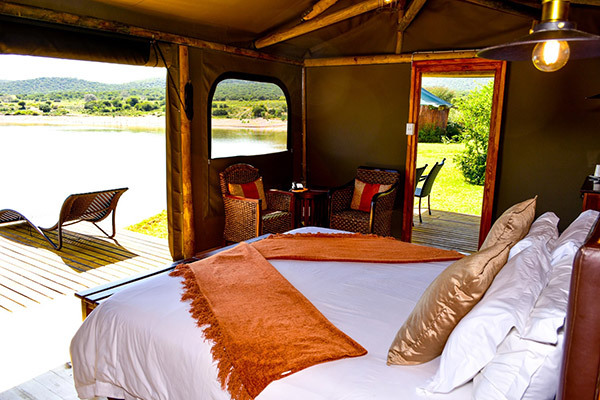 Each of the 29 free-standing luxury tents offers beautiful views over the waterhole and to the Swartberg Mountains. Simply and stylishly decorated, Buffelsdrift not only offers guests a true bushveld experience, but the real comforts of luxury accommodation. 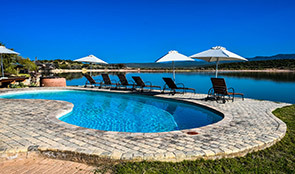 Buffelsdrift also has 24hr on-site service, with friendly staff to cater for your every need. 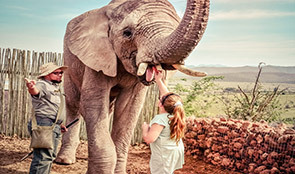 Our lodge is well-known for the many activities we offer that give our guests the opportunity to get up close to our incredible animals, and interact with our three African elephants. 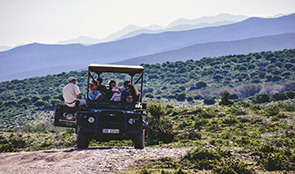 To name a few, Buffelsdrift offers morning and evening bush safaris, meerkat safaris and elephant excursions such as elephant brushing, walking and feeding. Spoil yourself with a spa treatment of your choice from the variety of African massage treatments we offer at our spa after a long day of exploring. We pride ourselves in our personalized service, superb buffet and à la carte menus, excellent conference facilities and the ideal setting for that romantic wedding with a difference. 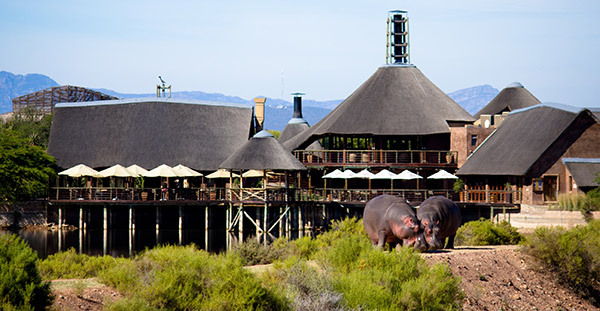 Buffelsdrift Game Lodge is situated only 6.5km outside Oudtshoorn en route to the Cango Caves. A champion high-jumper, the kudu poses a real threat to motorists in rural areas, especially at night.